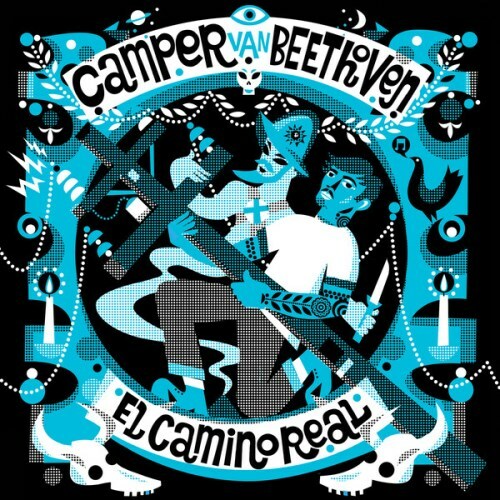 Camper Van Beethoven follows their 2012 album La Costa Perdida with a perfect companion piece in El Camino Real. The covers of the two albums even go beautifully with one another and the music makes for a nice match as well. The albums are both loose concepts about California so even the subjects matters are similar. The elephant in the room would instantly be “Which is better?” It is very close, but El Camino Real has the edge. On the strength of the first “single” “It Was Like That When We Got Here” the album is through and through solid. “I Live in LA” is an instant favorite with David Lowery stretching his vocal chords as far as they are willing to go making the song all the better. One of the most unique tunes is the jangly, bass driven “Dockweiler Beach” where Lowery uses a stutter as a timing mechanism to deliver the lyrics in front of some light guitar strums. The standout track is clearly the country tinge of “Darken Your Door” which is easily one of the most straight forward songs Camper Van Beethoven has ever recorded. Having the feel of a Cracker song, the acoustic strums drive the simple song to single symbol crashes to emphasize the lyrics. El Camino Real is pretty much just a perfect companion piece to La Costa Perdida in every way. The fact that these records are so consistent speaks to how good of a band Camper Van Beethoven still is after 30 years. This entry was posted in 250 word album reviews and tagged 250 word album review, 4 Stars, Camper Van Beethoven, Cracker, Darken Your Door, David Lowery, El Camino Real, La Costa Perdida. Bookmark the permalink. Thanks. Look forward to listening to it. They’ve developed such an identity. Regards Thom. Yes Thom they have, I love unique music and they have it.